A sample of 4 songs from this CD. 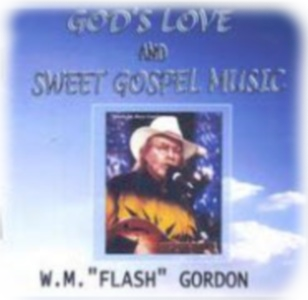 Born in Miami Florida and raised in the swamps of South Georgia, Flash Gordon has lived thru Vietnam and the Nashville Music Scene and now resides just outside Nashville in Coopertown, TN. 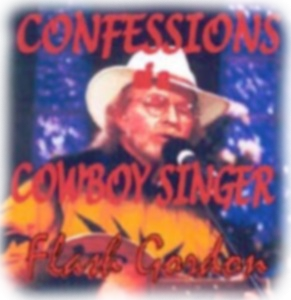 Once a member of The David Allan Coe band Flash has written songs that have been recorded by Mel Tillis, Charley Rich, David Allan Coe, Whitey Shafer, Hank Williams, Jr and Alabama. To tell it in his own words "I don't really care anymore about being a star and maybe I never did. I always did want to play at the Grand Ole Opry and the one time I had the chance I didn't follow thru. But that's another story. I just have a few things that I want to say and I don't want anybody at any record label telling me how to say it. I have lived my life the way I wanted and I will continue to do it my way. I don't use a lot of outside musicians. I have a studio in my basement now and when I take a notion I go down there and record. That's it. When I have somethin' to say, I say it. My only hope now is that somebody out there can understand the things I am trying to say." The Songs on this CD took nearly thirty years to write and record. I put my first band together in Vietnam in 1968 and I remember praying at night that God would see fit to let me see my home again. I was a lucky man and was able to walk and talk when I did arrive home in Miami, Florida Christmas, 1968. I had been raised in South Georgia inside the Methodist Church. My cousin, Jerry, taught me a few chords on the guitar and I was the coolest cat around. After wearing out most of the clubs in South Florida I moved to Nashville in 1972. The first song that I had published is on this album. "OLD TIME RELIGION" was originally recorded in Nashville in 1974. I have remastered that demo and included it here. Over the years I have been lucky enough to have my songs recorded by Alabama, Hank Williams Jr, Charlie Rich, Mel Tillis and David Allan Coe. God has given his love freely to all the people of the universe. We should never lock it inside of ourselves. We should give our love freely to all of our neighbors. To purchase this CD go to CD Baby.